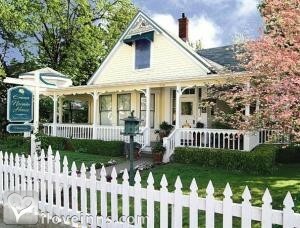 Grass Valley bed and breakfast travel guide for romantic, historic and adventure b&b's. Browse through the iLoveInns.com database of Grass Valley, California bed and breakfasts and country inns to find detailed listings that include room rates, special deals and area activities. You can click on the 'check rates and availability' button to contact the innkeeper. Grass Valley is one of the more exciting locations in Nevada County in the state of California. Innkeepers at Grass Valley bed and breakfast inns will attest how they are kept busy by a stream of guests coming to check in. These Grass Valley bed and breakfast inns are strategically located at areas near the most popular spots, which include the Empire Mine State National Park. There are also museums such as Grass Valley Museum, Video History Museum, and North Star Mining Museum. The North Start Powerhouse Mining Museum provides visitors with an educative look at the city's mining history. People who seek more information about the city can go directly to the Grass Valley -- Nevada County Chamber of Commerce. By Elam Biggs House.